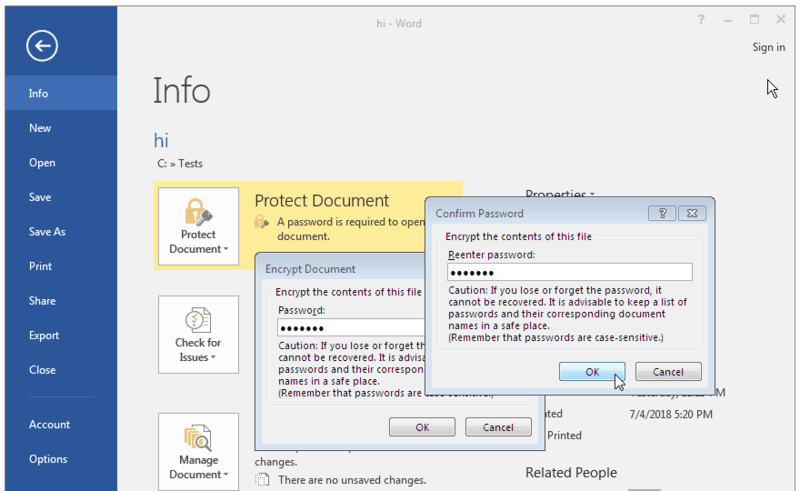 “The only sure-fire way to secure an Microsoft Word document from unauthorized access is to set a “Password to Open”. Only that kind of password guarantees that your data are securely encrypted and cannot be accessed without the password (in fact, it’s only true for some versions of Word). Ultra-fast GPU password recovery tool for various formats. Ultimate speed.